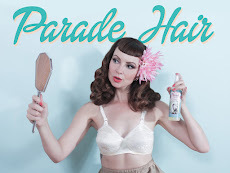 Miss Happ Rockabilly and Pin Up Clothing: Miss Happ Showroom now also stocks Manic Panic Hair Dye & more! Miss Happ Showroom now also stocks Manic Panic Hair Dye & more! With the holidays here, it's time to have a little fun with those gorgeous tresses & a little MANIC PANIC! Remember! We now also stock this range of crazy semi-permanent hair colour, as well as their lipsticks, eye shadows together with Violent lips and Oh-la-la lashes all brought to you by AnonaMiss Beauty Emporium.